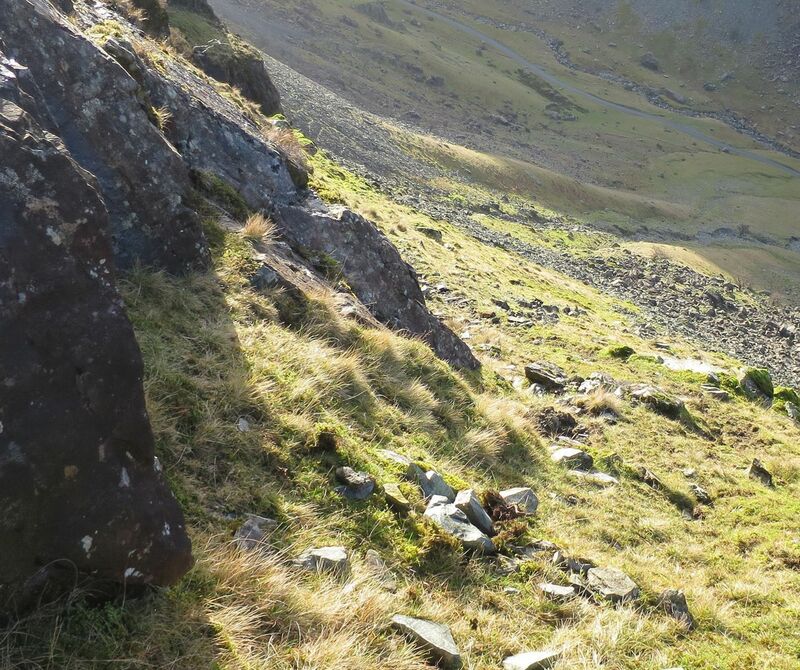 A sad story about two German au pair girls on a walking holiday in the Lake District, and the search for an elusive oak cross below the crags of Dale Head in Gatesgarth Dale. 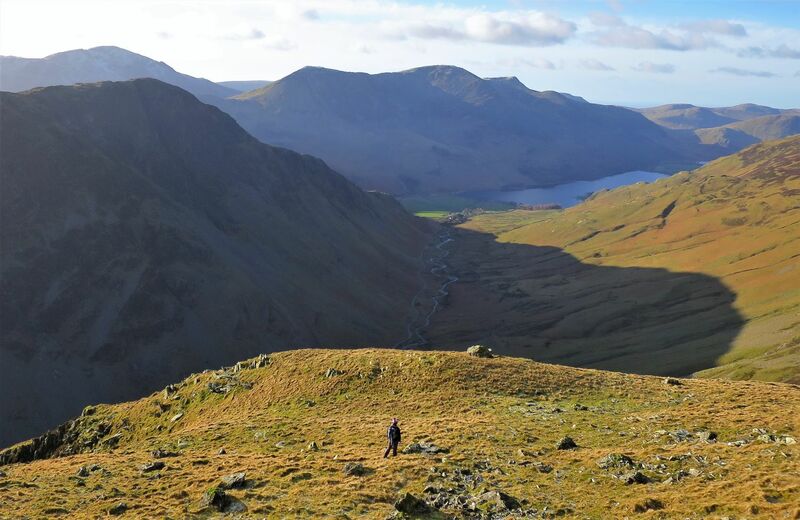 For the last six months or so, my ‘Lakeland Routes’ journey has taken a new path. Researching local history stories has become a passionate, although at times obsessive, sidestep from the walking routes. Although I have kept my interest limited to the Borrowdale area, I did have four stories near completion before researching this one. Chatting with local people has certainly been the highlight of this new adventure, and some have even become friends. My wife, Jaclyn, has followed me all the way; well, she did allow me to blabber away each time I returned home. If four stories wasn’t enough to be going on with, Jaclyn mentioned that she once found a cross when she was much younger. “On the Buttermere side of Honister Pass” she said. Well, maybe a break from researching in Borrowdale would do me good? Can you spot Jaclyn walking up towards Buckstone Hows? 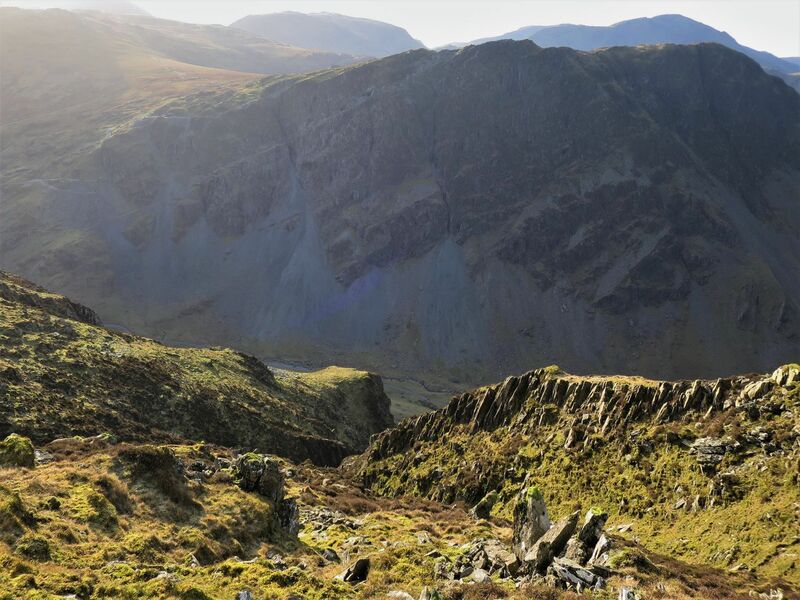 “Being a very adventurous child I started to walk up towards some crags, and I remember my dad saying: “Just make sure you stay within sight of the car so we can see you!” I wanted to see how far I could get before lunch was ready. 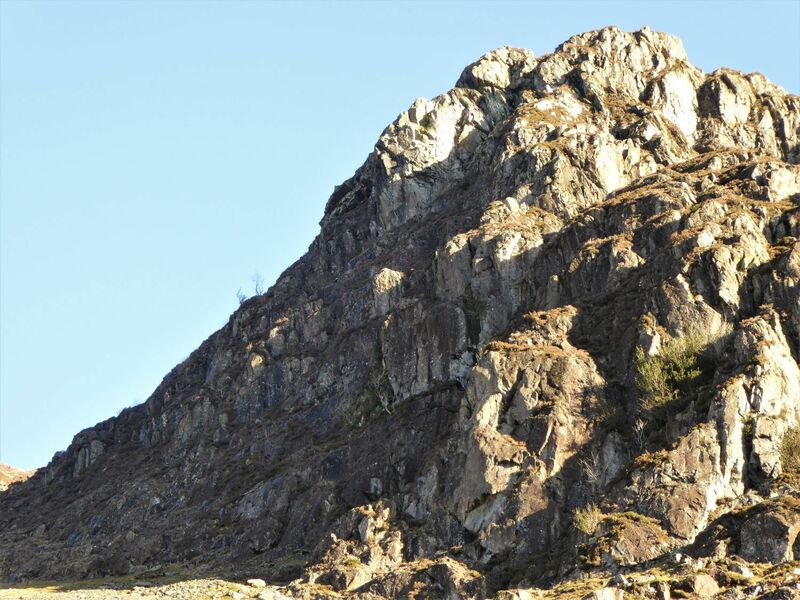 I remember climbing up a steep grassy slope and then over many boulders, before reaching the base of the crags. While there I noticed a large wooden cross stuck in the ground. Being the age I was, I didn’t think too much about it at the time, but I do remember telling my parents what I had found. 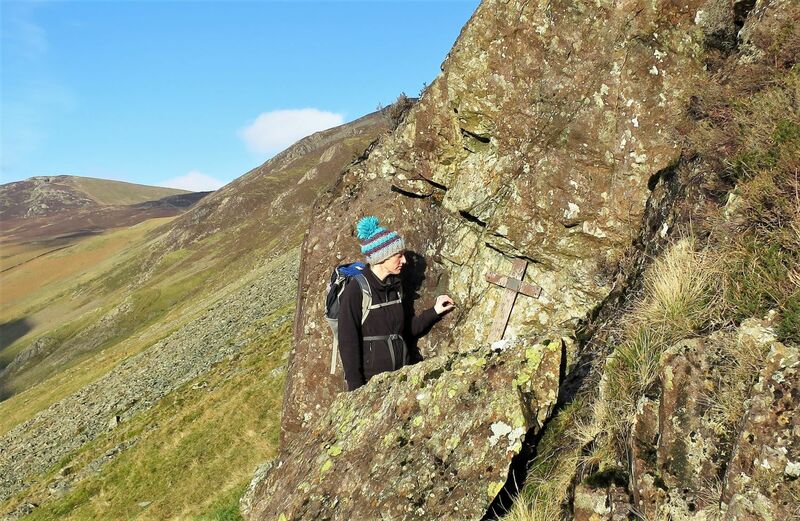 After Jaclyn showed me the photo of her walking up towards the crags below Dale Head, it became clear that the cross she had found wasn’t the Fanny Mercer one, and certainly one I hadn’t heard of. With this in mind, I just had to do some research to find out the background to this cross. The following information is based on newspaper articles and local knowledge. 22 years old, Maria Antonie Löchle (Toni), from the town of Memmingen in Swabia, Bavaria, Germany, had been living as an au pair for nine months with the family of company director Mr. Frank Blakeley, of Greenacres, Heywood, Lancashire. 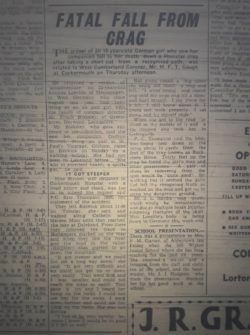 Gudrun Strobel, aged 18, and from the town of Backnang in Germany, also worked as an au pair and was living at St. Paul’s Vicarage, Belgrave Road, Oldham, Lancashire. Both girls came to the Lake District on Sunday 7th April 1963 to start a walking holiday, and were staying at a hotel on The Heads in Keswick. 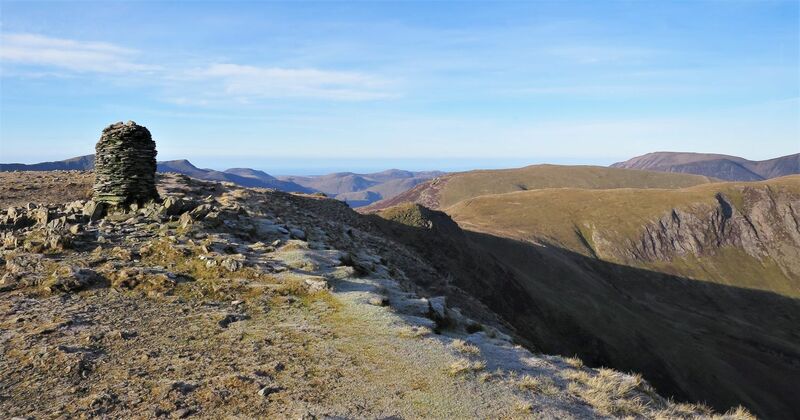 They left Keswick about 11:30am on Tuesday, and intended to walk to the village of Buttermere via the popular ridge of Catbells, Maiden Moor and High Spy, and then over Dale Head, Hindscarth Edge and Robinson. 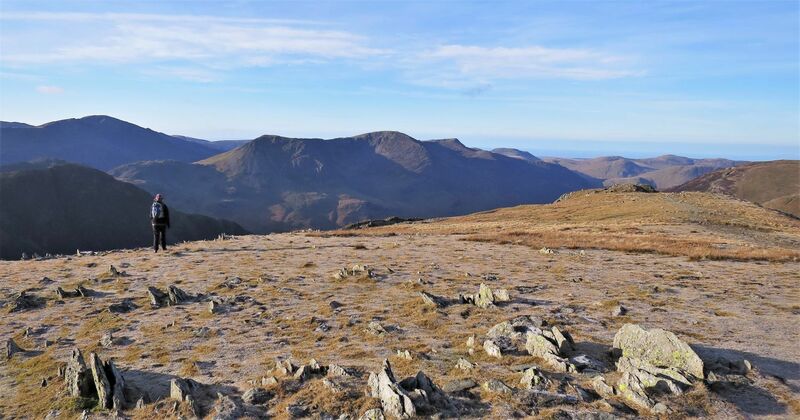 Having already walked approximately seven and half miles and 3500 feet of ascent by the time they reached Dalehead Tarn, the steep ascent of Dale Head’s eastern face was yet to come for Toni and Gudrun. Toni and Gudrun reached the summit of Dale Head. 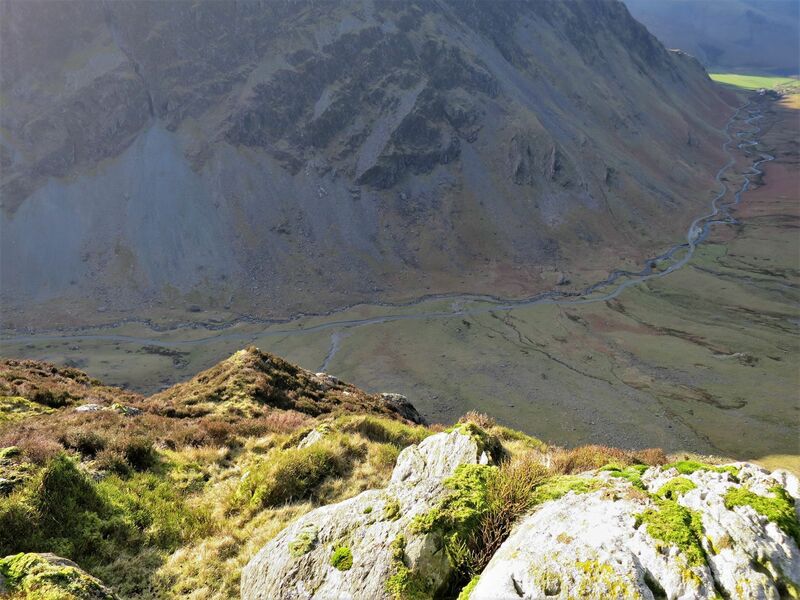 Their planned route was to “follow the track to Buttermere marked on the map”, which included Hindscarth Edge, Robinson and High Snockrigg, before dropping down to the village of Buttermere. After leaving the summit a decision was made to take a “short cut” down to the valley of Gatesgarth Dale. 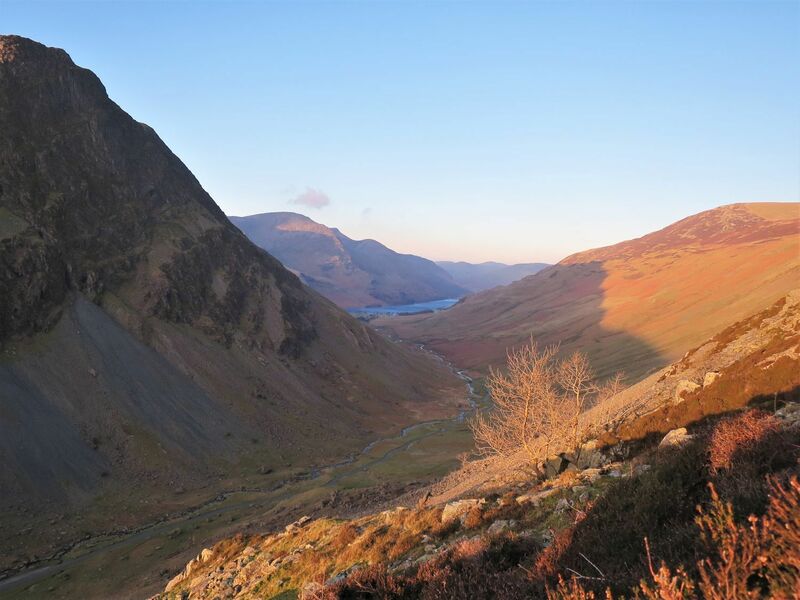 Gudrun said later that they saw the “so beautiful valley” of Buttermere ahead, and when they saw the river and the road in the valley below Dale Head, they started to go down the mountain. It’s not clear why Toni and Gudrun made the decision to take a short cut; maybe they underestimated the walk and both became tired?, or the daylight hours were fading? ; after all, the girls didn’t leave Keswick till around 11:30am. Whatever the reason, leaving the tops was probably a sensible decision, but sadly the route they had taken certainly wasn’t. Buckstone Hows is a combination of two mounds and two crags; “Hows” meaning mounds or hillocks. A long grassy ridge leads down to the ‘higher mound’ from the summit of Dale Head, and a gully on each side separates Buckstone Hows from the Yew Crag escarpment and the crags below Hindscarth Edge. You can see in the picture above that the grassy ridge gives the impression of a route down into the valley, but the ‘higher mound’ hides the dangers beyond. It is not known what the visibility was on the day; we know Gudrun could see the “so beautiful valley” of Buttermere from Dale Head, but low clouds can come and go so quickly here in the Lakes. Looking at the weather archives for 1963, good weather was recorded on the 7th and 8th April, however, Tuesday 9th was dull and wet as a complex system of low pressure moved northwards over the country. While heavy rain was recorded mainly in the south and north Wales, snow or sleet fell in northern England and Scotland. From the edge of the ‘higher mound’, you can just see the tip of the ‘lower mound’ down the slope. Between these two mounds (not clear in the picture), a tricky scramble down a crag of rock and heather awaits the girls. Just to the north of the ‘higher mound’, a narrow gully, even though a little tricky, provides a route down to the valley below. Sadly, Toni and Gudrun were unaware of this escape route to safety, so fading light or weather may have been a factor. To the south of the ‘higher mound’, a long narrow branch gully leads to a deep ravine. This is a very dangerous route to the valley below. 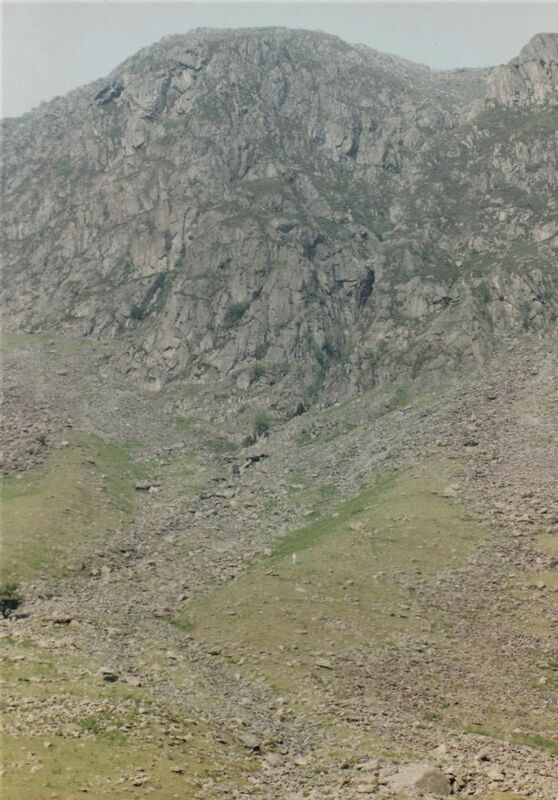 The picture above shows how narrow the whole ridge has become, with the two gullies flanking each side. The girls had managed to scramble down the ‘higher crag’ of Buckstone Hows; I have experience in scrambling the crags of Lakeland, but I must admit I wouldn’t like to come down there….go up, yes, but not down; it must have been terrifying for Toni and Gudrun. From the top of the ‘lower mound’, a few heathery terraces give the false promise of a safe route down, but sadly they lead to the edge of a dangerous 80 metre drop down a vertical crag of rock and heather. Beyond that, scree slopes lead down to the road and Gatesgarthdale Beck at the base of the valley. Either darkness or mist surely had been a factor at this point, because it is very unlikely that the girls would’ve chosen to go on if they could see further ahead. “It got steeper and we could not see a long way down,” Gudrun said. Jaclyn and I sat here for a while, reliving their steps and realising that bad luck also played a part in this tragic event. 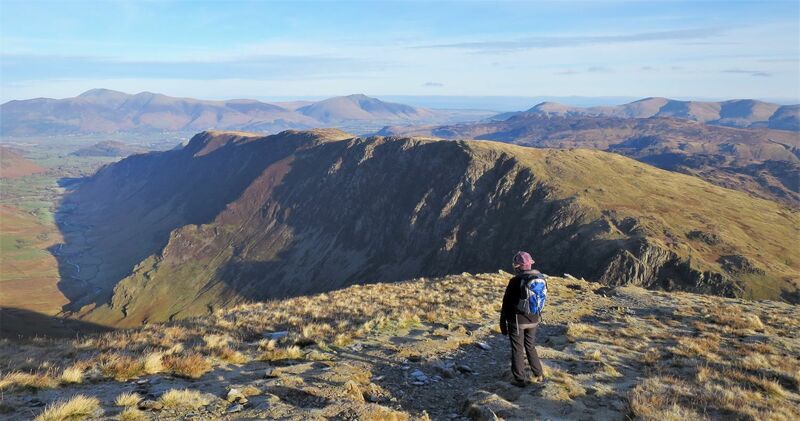 Only a few yards to the right of the ‘lower mound’, just like on the ‘higher mound’, a small gully provides a safer route down to the screes below. 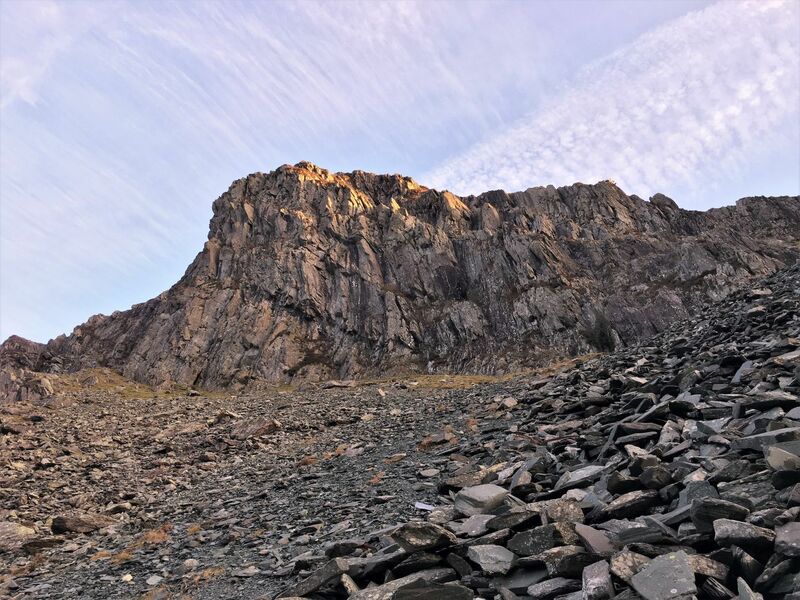 Toni and Gudrun started their scramble down the steep crag, only to find themselves at a point of no return: “It got very difficult and we could not get up or down very easily” said Gudrun. “Toni went first and I was smaller and could not reach the steps so easily.” Suddenly Toni slipped and fell down the crag: “Toni gave a cry and I heard her bump on the rocks. I could not see her for the rocks. I went down further and could see her lying on the rocks. She was not moving”. Gudrun was in a terrible and vulnerable situation, but she knew she had to get down: “I had to be very careful because I knew it would be no good if I fell as well”. Trying to climb around a big rock, Gudrun could not reach a step and she fell: “I went round and round and shut my eyes and hit a stone and hurt myself. I lay there for a bit. I still knew about it. I could not walk properly. I sat down and let myself slide”. 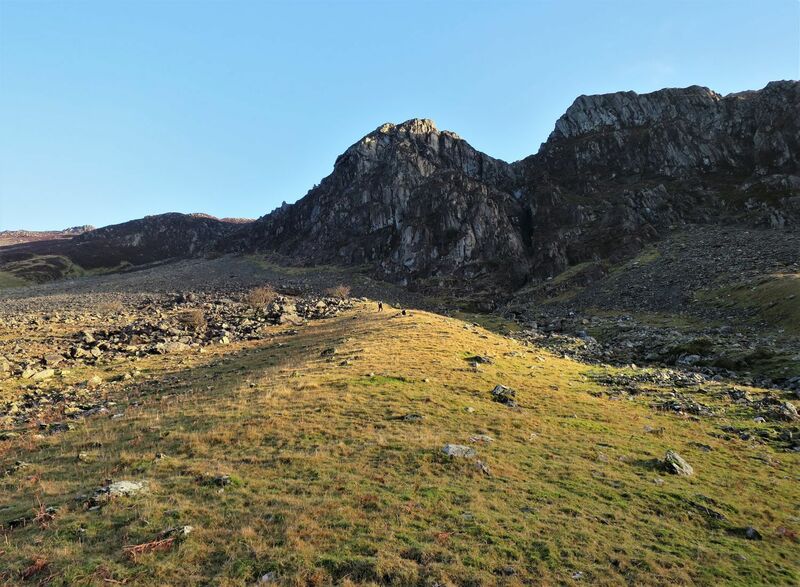 Covered in blood and badly limping, Gudrun managed to walk down the screes and reach the road at the bottom of the valley. Travelling from Keswick and over Honister Pass in their car were Miss Penelope Milton, of Hook Heath, Woking, and Miss Prudence Keenliside, of The Priory, Odiham, Hampshire. They picked up Gudrun and she was taken on to Gatesgarth Farm, over a mile further down the valley. Mr. Thomas Richardson, who farmed at Gatesgarth, alerted Cockermouth Police and the Mountain Rescue Team, before heading up to search for Toni. He then found her body. Some troops, who were in the area on a training exercise, joined the rescue team with Inspector R.W. Allen and P.C. Eric Thompson. One of the first to reach the spot was the Mountain Rescue Team’s medical officer, Dr. J.L. Hardie, who had previously treated the dead girl’s injured companion at Gatesgarth Farm. The team then brought down the body from the rough scree at the foot of Buckstone Hows. Toni’s employer, Mr. Frank Blakeley, of Greenacres, Heywood, Lancashire, gave evidence of identification, said she and her companion, Gudrun Strobel, came to Keswick on Sunday on a walking holiday. She had not been to Lakeland before. “She was in excellent health, a sports girl,” he said. 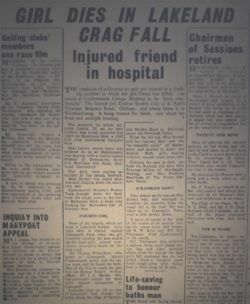 Gudrun, still a patient in Cockermouth Cottage Hospital with a head injury and shock, was too ill to attend the inquest and P.C. Eric Thompson read her written statement of the accident. P.C. Thompson said the body was found face down in the scree about 10 yards from the foot of the crag known as Buckstone Hows. Thirty feet up the crag he collected a map, camera, shoes, scarf, plastic carrier bag and other personal items from the line of the dead girl’s fall. Dr. J.L. 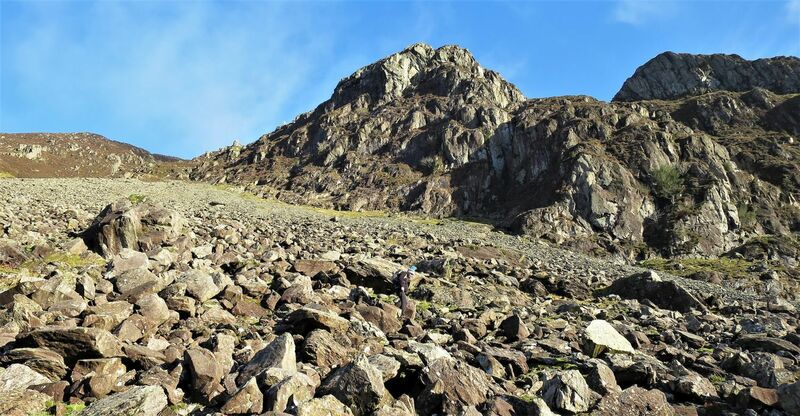 Hardie of Cockermouth Mountain Rescue said: “Death, which would be instantaneous was due to multiple brain injuries following fractures of the skull”. The coroner returned a verdict of “misadventure” on 22 years old Maria Antonie Löchle, and her body was flown to Germany that weekend. A rare good weather day in December took me by surprise; I know, I couldn’t believe it either! A walking friend, by the name of Dave ‘Shipmate’ Walsh, invited me out on a midweek wander. I was still in the middle of my long researching tour of Borrowdale, Honister and Buttermere, which includes five stories that are still incomplete, so I asked Dave if he didn’t mind joining me to locate Maria Antonie Löchle’s Cross. Jaclyn was sadly working, however, I made a promise to take her there on the next visit. 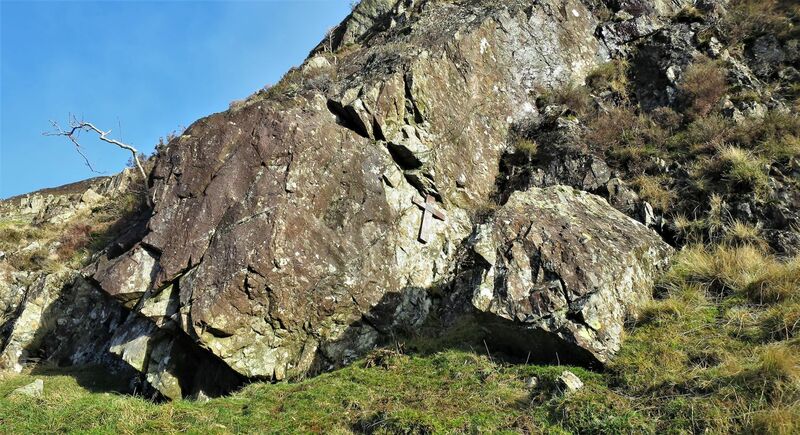 The search for this cross, initially, looked straightforward on the map, with a simple but steep climb from the road in Gatesgarth Dale up to the base of Buckstone Hows. 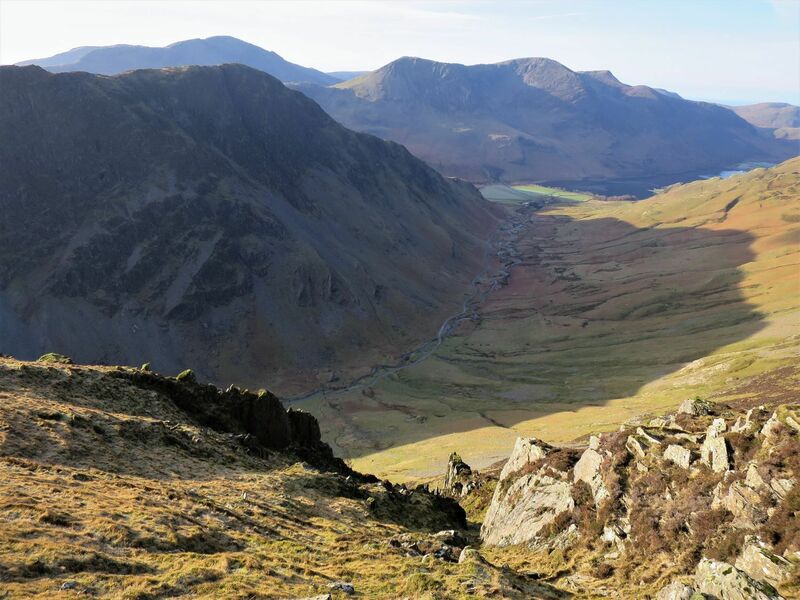 This of course would mean that our walk would be a short one, so I suggested that we start our route from Honister Hause and contour along the screes (spoil) of Yewcrag Mine. This would certainly slow us down a bit and make the morning far more adventurous. 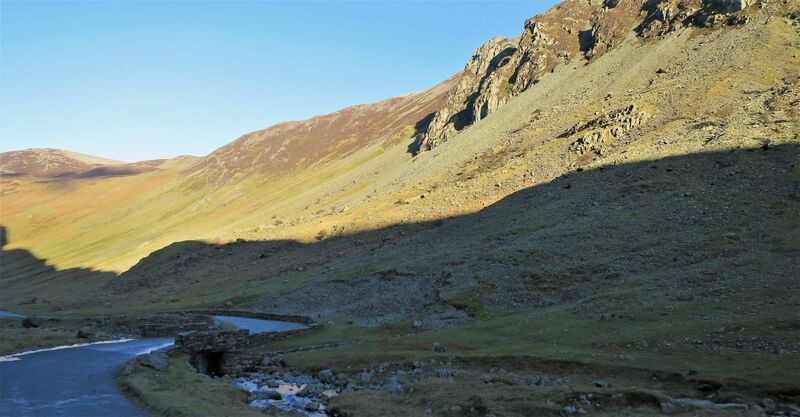 Please note that permission is required to walk among these mine workings, and thankfully for us, Joe Weir of Honister just happened to be in the car park as we arrived, and was much appreciated that we did ask permission. Many finds can be located amongst the spoil, including bits of metal and piping. We did find Excalibur protruding from a boulder, however, we did have a more important artefact to locate. Please note that the terrain is tricky, especially in the winter months when the sun only shines down this valley for a couple of hours each day. The boulders are slippery and very unstable. We keep the base of the crags well in sight along the way for any memorials or crosses; well, you never know! We are now approaching the area below Buckstone Hows, where Jaclyn had walked up from the road in 1990; the road (Honister Pass) and Gatesgarthdale Beck can be seen in the picture above. The sun is now just peeping over Honister Hause providing a welcomed warmth to the northern side of the valley. Dave and I spent a good hour or so searching below Buckstone Hows, but sadly we didn’t find anything. We searched below the crags, and down the ribs that lead down to the road. It was very frustrating, especially with the fact that we did have a grid reference that I had taken from a book. This book, ‘Lakeland Monuments: Book 1 – North’ by Bob Orrell and Margaret Vincent, included the story of the German girls. 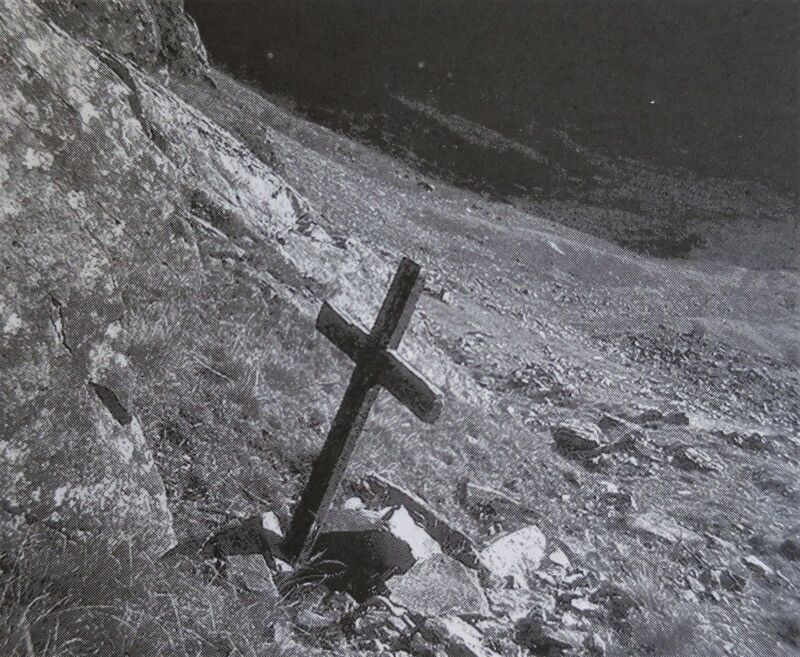 A photo in the book shows the cross in the ground at the base of the crag, but the grid reference given was for much further down the slope. I stupidly hadn’t taken the book with me, because the photo taken by Bob Orrell gave a really good reference point; silly me! It’s New Year’s Day, the sky is blue, and Jaclyn is determined to find the cross; I think she was secretly happy that Dave and I were unsuccessful two weeks earlier! This time we started the walk from the road and followed the long grass rib that Jaclyn had walked up in 1990. It wasn’t long till I was left behind; Jaclyn doesn’t normally shoot off like this, but I think the excitement of retracing her steps from when she was 9 years old got the better of her. I was only halfway up the grass rib when Jaclyn reached the base of Buckstone Hows. It’s then when I noticed her waving at me in a very excited manner; it was obvious that she had found the cross. As I approached I was puzzled, because Dave and I searched all the ground in that area below the crag. Firstly, well done Jaclyn!, but secondly, I was puzzled; it’s screwed to the rock, so it’s no wonder Dave and I couldn’t find it; we only searched on the ground at the foot of the crag. A closer look confirmed it to be Maria Antonie Löchle’s cross. It was great to finally find the cross, but we wanted to sit here for a while to think about the girls. Looking up the steep crag above the cross, we suddenly realised the seriousness and desperation the girls got themselves into. 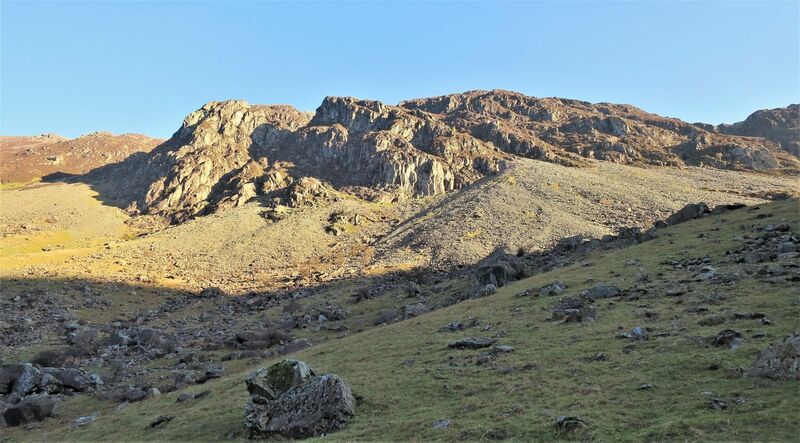 We thought about Toni’s fall, but also about Gudrun’s desperate situation of having to continue climbing down, and walking down the screes shoeless, limping, and badly bruised. While sat at the location, I suddenly remembered having in my rucksack the book ‘Lakeland Monuments’. It was still puzzling me; the cross didn’t look like the one in the book, and the location was different. 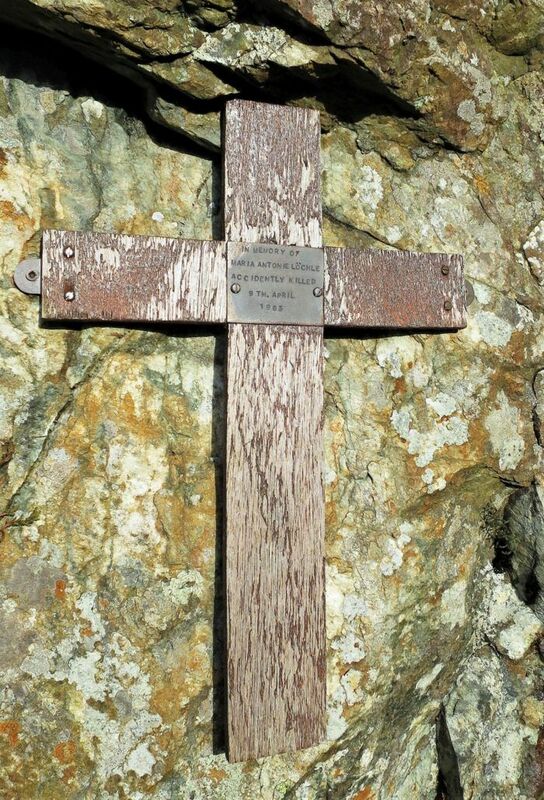 Having looked at Bob Orrell’s photo, the original cross was much larger and was made from solid oak, but the cross we had found is made from plywood. I said to Jaclyn: “Let’s try and find the exact location from the photo“. It took a while, but we found it! There was no cross though, but we could see where the original one was placed into the ground. I then thought that it’s a possibility that the original cross got damaged over time, and melting snow dragged it down the scree slope. Well, if that was the case then melting snow can only go in one direction, and that’s straight down. I couldn’t believe it, I found it, and it was directly below the location and about halfway down the scree slope. 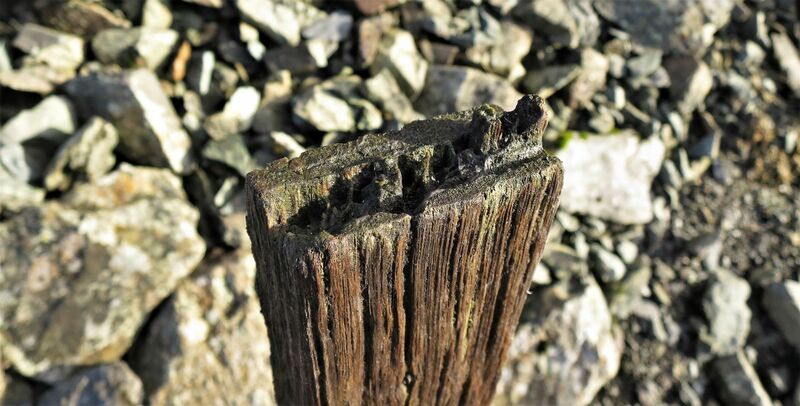 A closer look at the timber confirmed it was oak, and that it was the lower half of the cross. So, where is the top half? The pieces from the top should have a name plaque fixed to them; or is the original plaque on the new cross? We just had to continue searching the scree slopes for the other pieces. We continued searching the screes below Buckstone Hows for a good hour or so, but we found nothing. At first I wasn’t sure what to do with the piece that we had found. I didn’t want to leave it there on the scree slope, so we placed it on the crag above the new cross. It simply seemed the right thing to do at the time. Since researching the incident and locating the cross, three questions were remaining: Who was responsible for placing the original cross up there, who replaced it with a new one, and have any of Toni’s relatives visited the cross over the years? 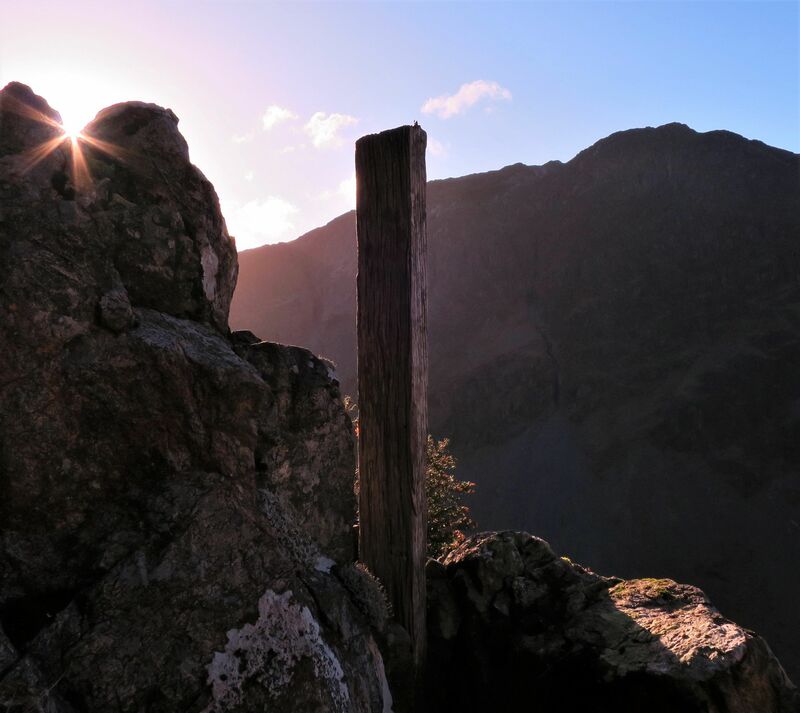 In the acknowledgements of ‘Lakeland Monuments: Book 1 – North’, Bob Orrell and Margaret Vincent give a special thanks to Derek Tunstall: “His knowledge of the locations of Lake District monuments has been invaluable”. 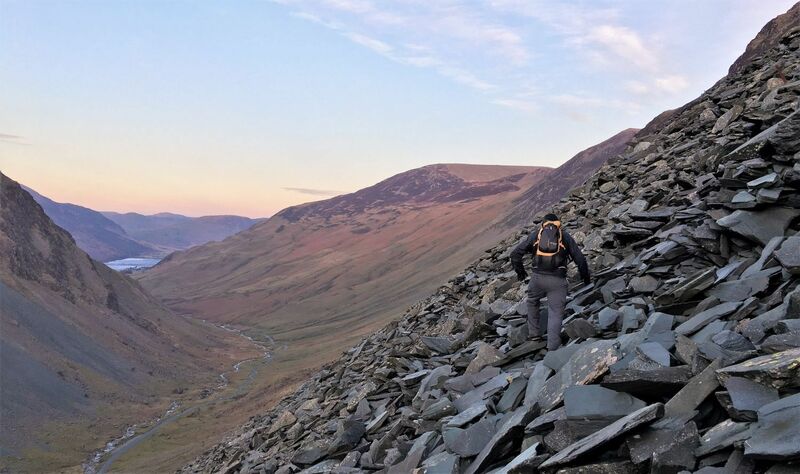 Derek, who is a long time member of the Cockermouth Mountain Rescue Team and a voluntary ranger for the Lake District National Park, has a vast knowledge of the monuments of Lakeland. 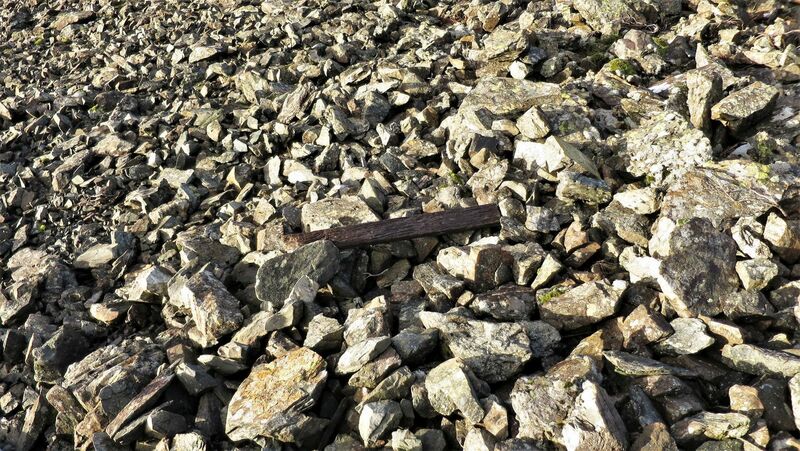 I contacted Derek regarding the cross at Buckstone Hows, and it turns out it was actually himself that found the old cross in a “bad state” in 2009, so he removed the plaque and left the pieces of oak where it originally stood. Then, with a battery drill, bored two holes and screwed a new cross, with the original plaque attached, to the rock face at the base of Buckstone Hows. Derek Tunstall was very kind to give me Bob Orrell’s address. Sadly I didn’t have his phone number, so this was going to be one of those ‘stranger knocking on your door’ situations; I’ve not had a door slammed in my face yet, but one day it may happen. I didn’t need to worry though, Bob, and his wife Jean, were very welcoming and we chatted away for over two hours in their lovely cottage. The main subjects were, monuments (of course), plane crashes, Jack Longland, the NHS and boat building, but most of all Bob gave me some great advice regarding researching the history of Lakeland. 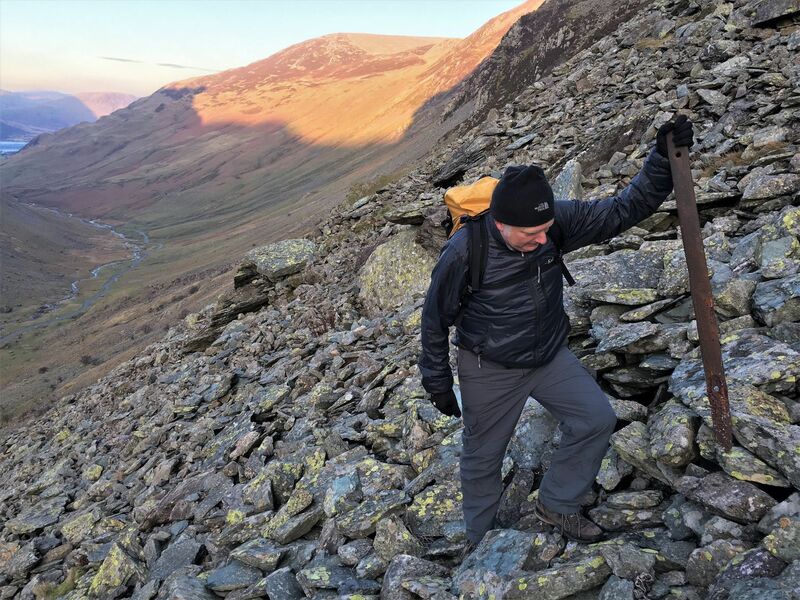 Bob, who was a journalist and a founding member of the Langdale Mountain Rescue Team, has wrote 15 books including ‘Lakeland Monuments: Book 1 – North’, which won the Lakeland Book of the Year award ‘Best Research’ in 1999. 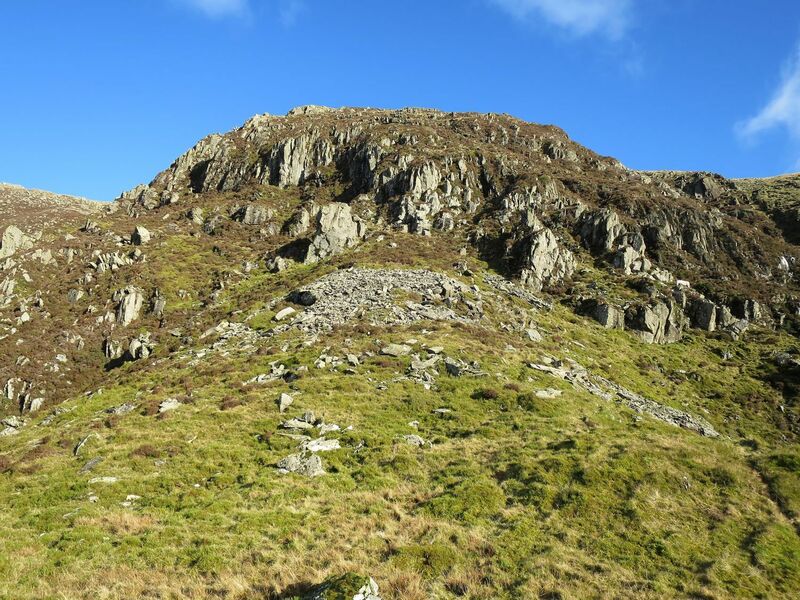 Sadly though, there will be no ‘Book 2 – South’; as he puts it: “I’m too old to be climbing them dam fells anymore!”, and I responded with: “And there’s a lot of bloody monuments in the south!”. Bob laughed in agreement. Willie’s father, Thomas Richardson, was the farmer who alerted Cockermouth Police and the Mountain Rescue Team, and who found the body of Maria Antonie Löchle. Even though only seven years old at the time, Willie remembers the night very well, and the moment his father left the farm house in the dark to look for the German girl. I went to visit Willie at his home in Whinlatter and we talked about that night, and the following years. Willie still owns the land in Gatesgarth Dale, so I asked him if he knew about a geocache that had been placed at the cross location. He said no, and wasn’t too happy that no one had contacted him for permission. Like me, he agreed that although geocaching is a great outdoor activity, monuments shouldn’t be part of an unrelated ‘tick list’, and people visiting these monuments should be doing so to remember the person, and not a plastic container. Knowing that I was going back up there, Willie asked me if I would remove the container on his behalf; I gladly agreed to do so. This was the end of my research of Maria Antonie Löchle’s Cross, and thanks to people like Derek, Bob, Willie and Donald for sharing their knowledge, people like Toni will never be forgotten.